Calling all college students and graduating high school seniors! Don't miss this HOT offer. College Students get Amazon Prime for FREE for 6 months just for signing up! 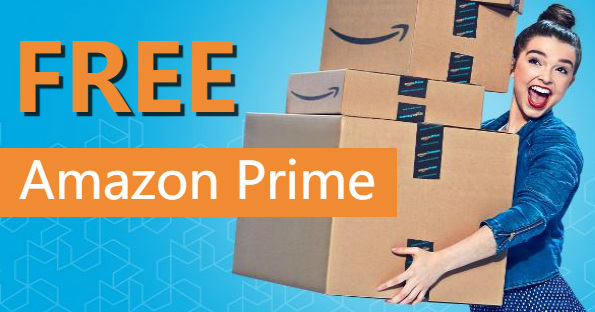 Amazon Prime Student gives you so much more than just free shipping, you'll also get free movies, TV, photo storage and more! You can virtually get ANYTHING from Amazon these days including dorm decor, books, clothing, supplies, food, bathroom essentials, makeup and MORE, often at prices times less than at your local stores. The best part is that all of these items will ship free to your door, so you can concentrate on more important things like studying or tailgating. To be eligible for a FREE Prime Student trial you will need a .edu e-mail address. Also, you will receive 50% off Prime membership after the 6 month free trial is up and get FREE Prime Music. This is the BEST Amazon Prime Promotional deal out there.